Get ready to taste Vizag’s own apples soon! 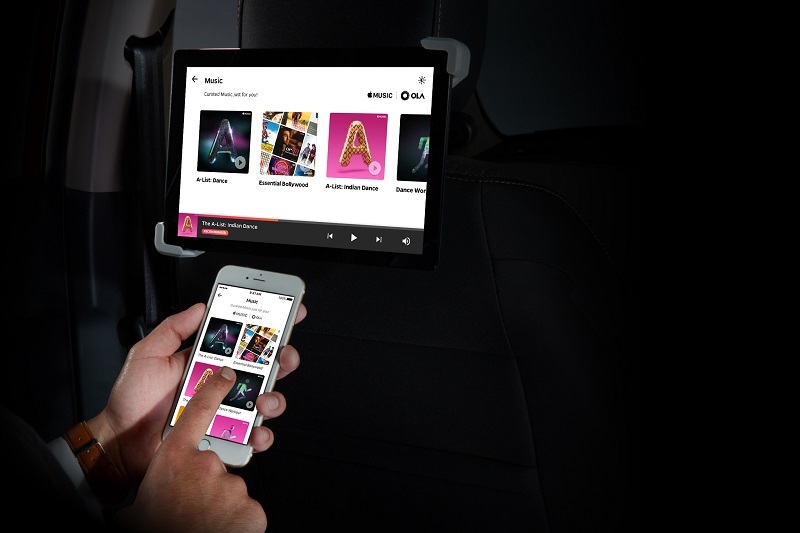 Ola Play, the world’s first connected car platform for ride sharing, will offer on-the-go access to Apple Music, a single, intuitive app that combines the best ways to enjoy music- all in one place. Ola, India’s leading mobile app for transportation, and Apple Music have put music centerstage, where any passenger taking an Ola Prime Play will be able to experience and consume Apple Music content such as curated playlists, new music from top artists and emerging acts, and more. Ola will also join an exclusive selection of both International and local tastemakers as well as style leaders as an Apple Music curator in India. Ola will curate a range of themed playlists reflecting India’s diverse music genres and broader interests of Ola customers from over 102 cities. Ola Play is powered by proprietary in-car and cloud technologies from Ola, by bringing advance car controls, choice of personalized content and a fully connected interactive experience for the user. The platform hardware is a first of its kind solution built by Ola in partnership with Qualcomm. “Music lovers in India are enjoying Apple Music’s hand-picked playlists based on the music they love, hearing new music from artists like Drake and A.R. Rahman first before anyone else, and discovering new artists like Divine and Madboy Mink every day. We are thrilled to bring Apple Music to Ola Play,” said Oliver Schusser, Apple’s Vice President of International Content. To experience Ola Play, customers will have to select Prime Play subcategory. Ola Play will be made available on Ola Prime in Bengaluru, Mumbai and Delhi for select customers and will be rolled out across other cities and to over 50,000 vehicles by March 2017. All Ola curated playlists and more are now available to Apple Music subscribers. Founded in Jan 2011 by IIT Bombay alumni Bhavish Aggarwal and Ankit Bhati, Ola (formerly Olacabs), is India’s most popular mobile app for personal transportation. Ola integrates city transportation for customers and driver partners onto a mobile technology platform ensuring convenient, transparent and quick service fulfillment. Ola is committed to its mission of building mobility for a billion people. Using the Ola mobile app, users across 102 cities can book from over 4,50,000 vehicles across cabs, auto-rickshaws and taxis. Ola has also introduced a range of shared mobility services on its platform like Ola Shuttle and Ola Share for commute and ride-sharing respectively. The app is available on Windows, Android and iOS platforms. Please visit www.olacabs.com and https://www.olacabs.com/media for more information.